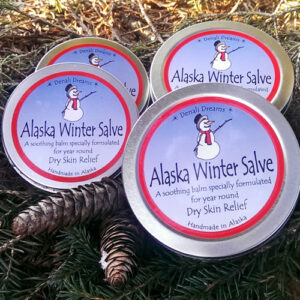 To help combat the damage to skin that comes from the harsh cold winters of Alaska we have formulated this soap using a rich combination of neem and castor oils. Finely ground oats along with olive oil are added to naturally soothe skin. A great soap for year-round dry skin relief. Scented with essential oils of lavender, lemongrass & sage.